Cubert is now a Personal Capital convert. For years I stubbornly held fast to my beloved Excel spreadsheets. 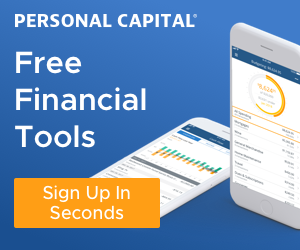 Now, the easy to use interface and integration capabilities on Personal Capital have caught up to MY expectations. You won’t be disappointed. Chase Ink business card is my “rock” among cards I otherwise churn through. The Ink card offers 80,000 bonus points after spending $5,000 in the first three months. Use this card in conjunction with the Chase Sapphire and Reserve to pool Ultimate Reward points. Fire up your very own blog, or switch to the fastest, most secure, and best supported shop around! 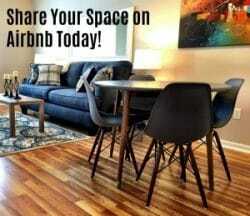 Be a host on Airbnb and make thousands in extra income to help you retire early! Click this link and sign up today! Save $25 on a phone or your first month of service with this link. We switched to Ting over a year ago and couldn’t be happier! We were able to keep our phones and numbers, and now pay $42/mo. for two lines. Ting customer service is absolutely TOP NOTCH. Spreadsheets and formulas got you second guessing your early retirement options? Give OnTrajectory a shot.